On Sunday morning, May 3, Seth Gilliam of ‘The Walking Dead’ hit AMC series was arrested in Peachtree City, GA when he was pulled over by police after driving 107 mph in a 55 mph zone, according to The Hollywood Reporter. Gilliam plays Rev. Gabriel Stokes, a morally conflicted reverend, on the television show. The show is filmed in Senoia, GA according to CNN. Gilliam admitted to having drank three beers and a shot after being pulled over when the officer noticed an odor of alcohol on the actor and asked if he had been drinking. A police report also indicates that the officer found a marijuana joint in the vehicle after detecting the smell of marijuana. The actor has had recurring roles on Teen Wolf and The Good Wife; he was charged with possession of less than an ounce of marijuana, DUI, reckless driving, and speeding. Gilliam was booked into the Fayette County Jail and later released. A breath test revealed Gilliam’s BAC (blood alcohol content) was .107, slightly higher than the legal limit of .08 percent. 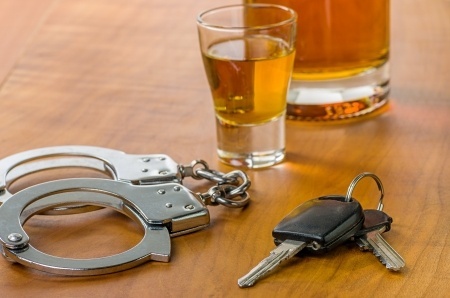 Michigan DUI defense attorneys know that in many cases, someone arrested for driving under the influence is also arrested for speeding or reckless driving. Drivers who are under the influence of alcohol and/or drugs often lose their inhibitions, and take risks they would not otherwise take. However, the consequences of a DUI or reckless driving conviction are damaging, not only in terms of criminal penalties but an individual’s reputation and career as well. Either charge may result in jail time, fines, and a criminal record among other punishment. Additionally, if someone is injured or killed due to driving under the influence or reckless driving, the penalties become even more serious for those convicted and may include years behind bars. Driving while under the influence of alcohol or drugs, speeding, reckless driving – these are all serious charges which could impact your freedom, future, and reputation. If you have been arrested for drunk driving or DUI in conjunction with other charges, consult with a highly skilled Michigan DUI lawyer immediately. Your legal rights must be protected, and work must begin on your case right away in order to reach the best possible result.